Want to save time? No problem! You can purchase the Physical Dice Package here. This packages contain everthing i create in the video bout physical Dice in Unity 5.6. 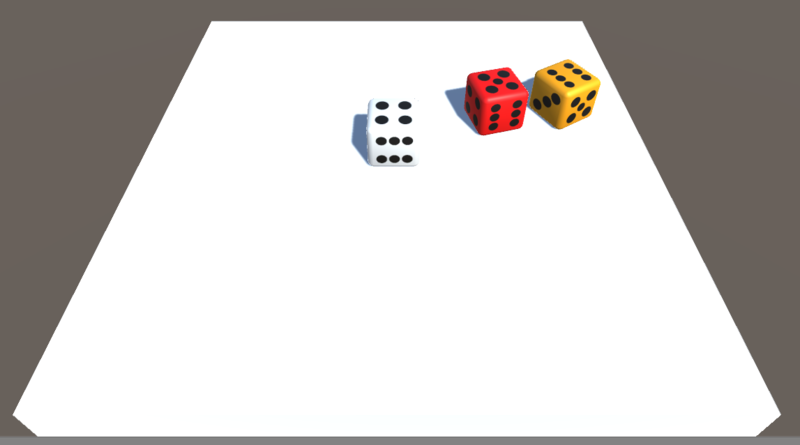 The package includes on 3D Dice Model with a white Texture and Black dots. So you can easily change the main color using the Albedo Channel. Of the Material.